Carbon fibre technology makes our tubes super strong and super light. Resulting in less energy needed to move, walk and play. Precision-machined aircraft grade aluminum tubes are also available. These patented, shock absorbing grips provide unprecedented protection and comfort directly under the hands – where they are needed the most. Based on research and user input, the FinGrips™ are orthotics for your hands! Our revolutionary foot assembly contains a clever ball & socket joint that emulates the natural movement and articulation of your shoulder and ankle. Leaving the foot free to rotate helps prevent the fatigue and injury that often occurs over long-term use with other crutches. 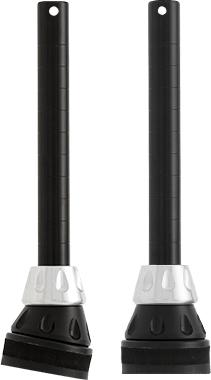 Our patent pending SideStix™ Shock Absorbing System has been scientifically designed to reduce joint compression and provide energy return. Resulting in less pain, less fatigue and more energy when walking or enjoying your favourite activities. 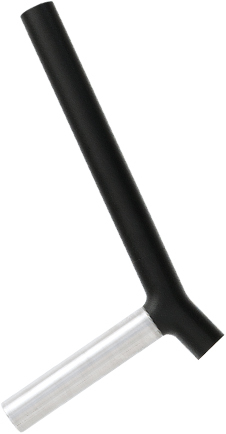 crutches, the unique geometry of our forearm design ensures maximum comfort and safety over the long-term by protecting joints and minimizing stress in hands, wrists and shoulders. 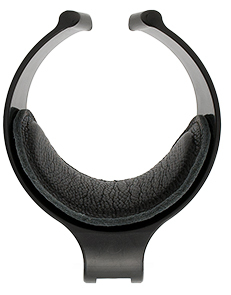 Adjustable cuffs come in three distinctive styles and are custom sized to fit you perfectly, while genuine leather pads gently cushion your forearms to provide superior softness, comfort and durability. Our patent pending SideStix™ Shock Absorbing System has been scientifically designed to reduce joint compression and provides energy in return. Resulting in less pain, less fatigue and more energy when walking or enjoying your favourite activities. Made from high quality rubber, Tornado Tips™ feature a flexible gel core, which provides superior comfort, stability and shock absorption by engaging the ground throughout your entire stride. 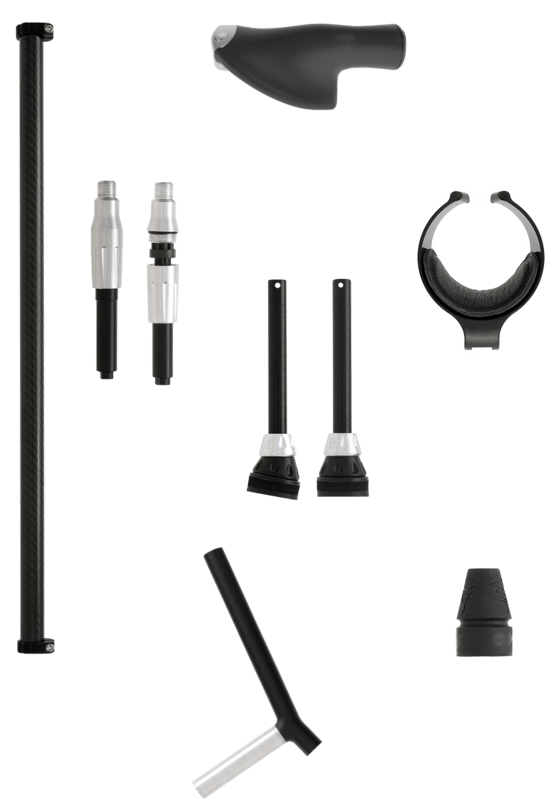 Unlike other forearm crutches, the unique geometry of our forearm design ensures maximum comfort and safety over the long-term by protecting joints and minimizing stress in hands, wrists and shoulders.